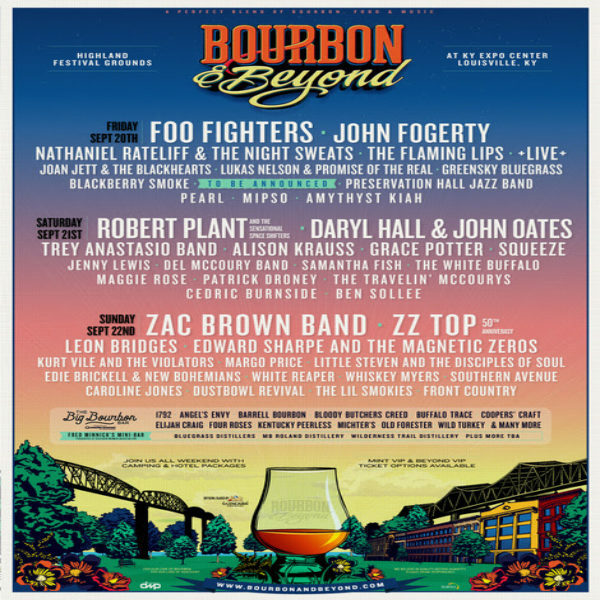 Louisville’s inaugural Bourbon & Beyond Festival has announced its 2019 lineup. 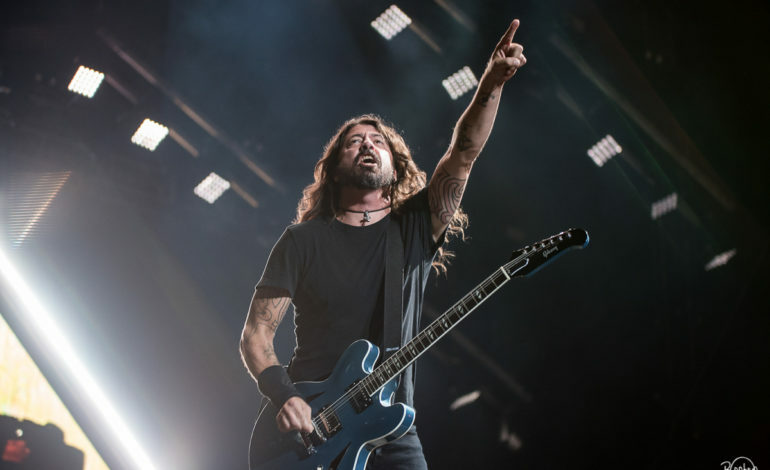 This year’s lineup boasts headlining sets from Foo Fighters, Zac Brown Band, and Robert Plant. Other performers on the bill include John Fogerty, Daryl Hall & John Oates, ZZ Top, Nathaniel Rateliff & The Night Sweats, Trey Anastasio Band, Leon Bridges, The Flaming Lips, Alison Krauss, Edward Sharpe And The Magnetic Zeroes, +LIVE+, Grace Potter, Little Steven & The Disciples Of Soul, and Joan Jett & The Blackhearts to name a few. It has expanded to a three-day festival and will be taking place Friday, Sept. 20 to Sunday, Sept. 22 at the Highland Festival Grounds At KY Expo Center. Passes for the festival will go on sale Friday, March 15 at 12 PM EDT and can be purchased here. This is the third year for the festival, with last year’s lineup including performances from Lenny Kravitz, John Mayer, Sting, David Byrne, Sheryl Crow, Gov’t Mule, and Kaleo. Plant was originally slated to perform last year but had to postpone for this year. Along with the festival’s well-curated lineup, it also provides a superb lineup of award-winning chefs, distillers, and spirits that will include seminars and food tasting experiences that festival goers cannot experience elsewhere.